For the following guidelines, it is expected that training data has been generated as explained here. It is necessary to identify these above substructures when interrupting the <body>. Figures and tables (including their potential titles, captions and notes) are considered part of the body, so contained by the <body> element. Note that the mark-up follows overall the TEI. Note: It is recommended to study the existing training documents for the segmentation model first to see some examples of how these elements should be used. The following sections provide detailed information and examples on how to handle certain typical cases. A cover page - usually added by the publisher to summarize the bibligraphical and copyright information - might be present, and is entirely identified by the the <titlePage> element. The header section typically contains document's title, its author(s) with affiliations, an abstract and some keywords. All this material should be contained within the <front> element, as well as any footnotes that are referenced from within the header (such as author affiliations and addresses). Furthermore, the footer including the first page number should go in there. In general we expect as part of the header of the document to find all the bibliographical information for the article. This should be followed in order to ensure homogeneity across the training data. There should be as many <front> elements as necessary that contain all the contents identified as 'front contents'. Note that for the segmentation model, there aren't any <title> or <author> elements as they are handled in the header model which is applied in cascaded in a next stage. Any footnotes referenced from within the <body> should remain there. Note: In general, whether the <lb/> (line break) element is inside or outside the <front> or other elements is of no importance. However as indicated here, the element should not be removed and should follow the stream of text. 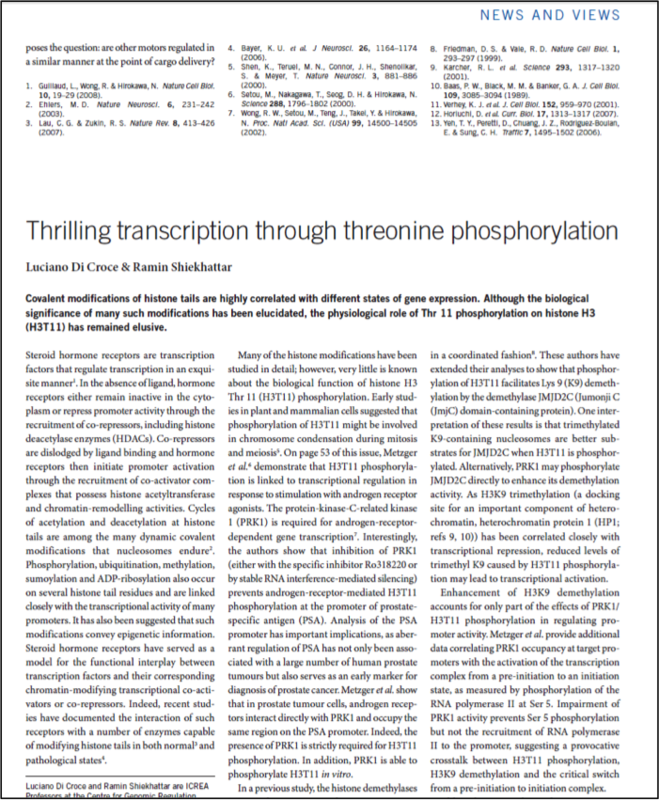 The following screen shot shows an example where an article starts mid-page, the end of the preceding one occupying the upper first third of the page. 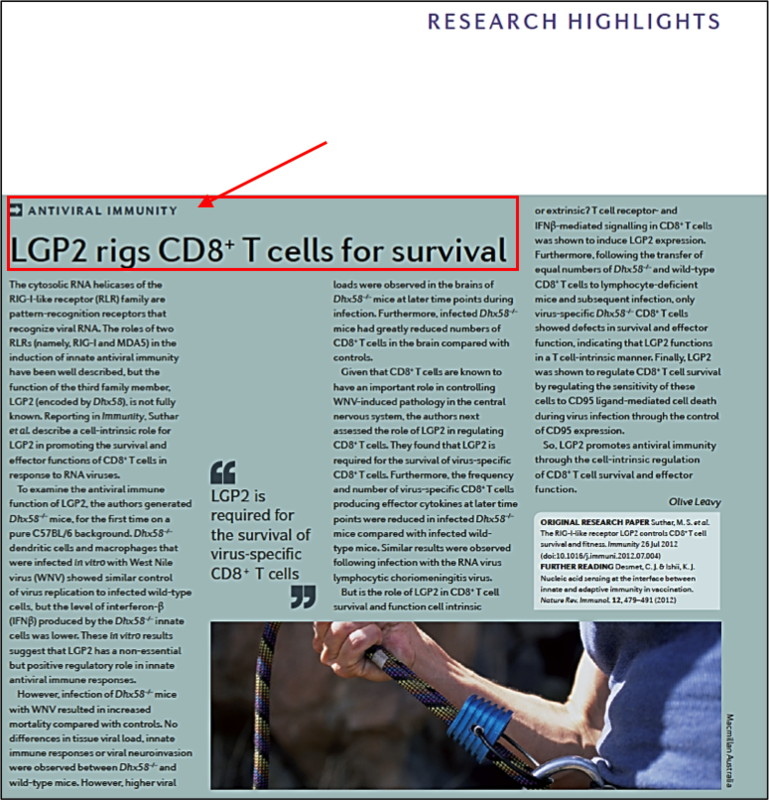 As this content does not belong to the article in question, don't add any elements and remove any <front> or <body> elements that could appear in the preceding article. Any information appearing in the page header needs to be surrounded by a <note place="headnote">. The contents of the grey band in the screenshot above should be surrounded by a <note place="headnote"> except on the first page where this type of information would be inside the <front> element. The <page> element which contains the page number should be outside of any of the above <note> elements. 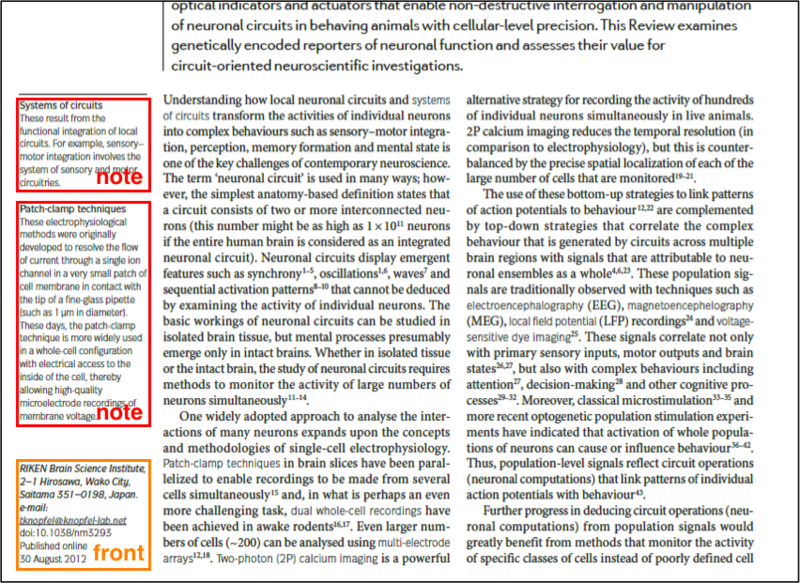 The following example shows a case where we have an acknowledgment (in the red frame) that gets encoded as a <div type="acknowledgment"> whereas the title reference underneath (in the orange frame) is encoded using a <front> element. Figures and tables belong to the main body structure: they are not to be encoded specifically. If a figure or table appears inside an annex of an article, it should remain inside the <div type="annex"> element. If a figure or table appears in an abstract (which is rare but it happens), this item should remain within the <front> element. 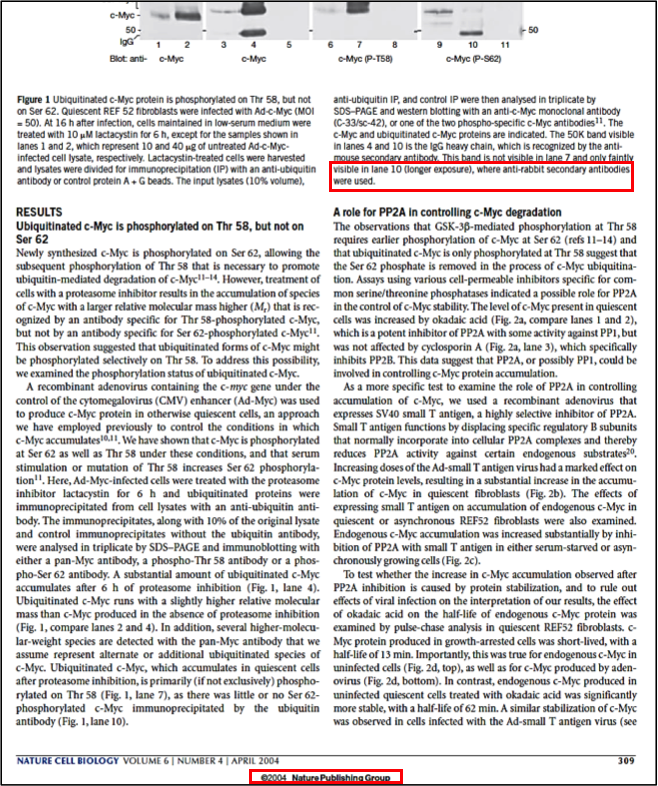 It happens that GROBID picks up hidden text that is present but not visible on the PDF's page for the reader (compare the XML below with the screenshot of the PDF page, the context being highlighted by red boxes); such content should not be surrounded by any element as to indicate to Grobid to ignore it.